Transport for London it seems are determined to learn about where they went wrong with Vauxhall Cross so that mistakes made will noit be repeated elsewhere. Recently the held a 'learning the lessions' morning. 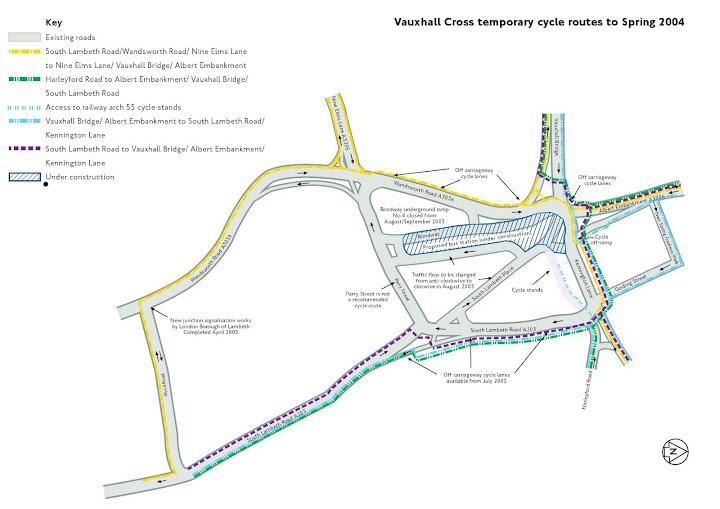 Lambeth Cyclists were represented by Anthony Gilmour and Clare Neely who left everyone in no doubt that the treatment of cyclists in the design and current works had at best been apalling. Thanks to the hundreds of cyclists who have contacted usand whose views we have forwarded to the designers of scheme everyone at the meeting was already very aware if cyclists' views. Update 15 July 2003: the cycle lanes around the Vauxhall gyratory are now all open. Final white line markings to finish these lanes will have been completed by Wednesday 23 July 2003. 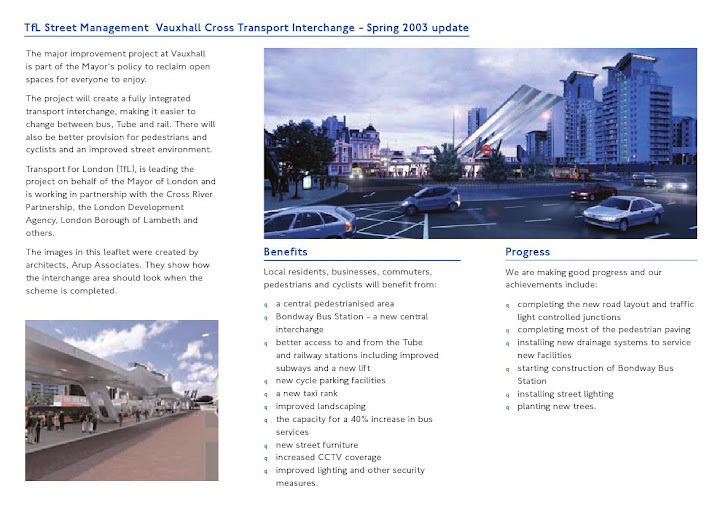 A further cycle lane will be routed through the new bus station on completion in early 2004. 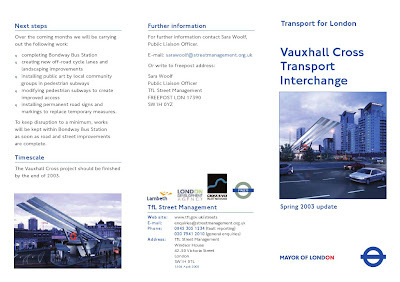 Further details can be found at www.tfl.gov.uk/streets/vauxhallX_cycling.shtml or see below for map and leaflet.